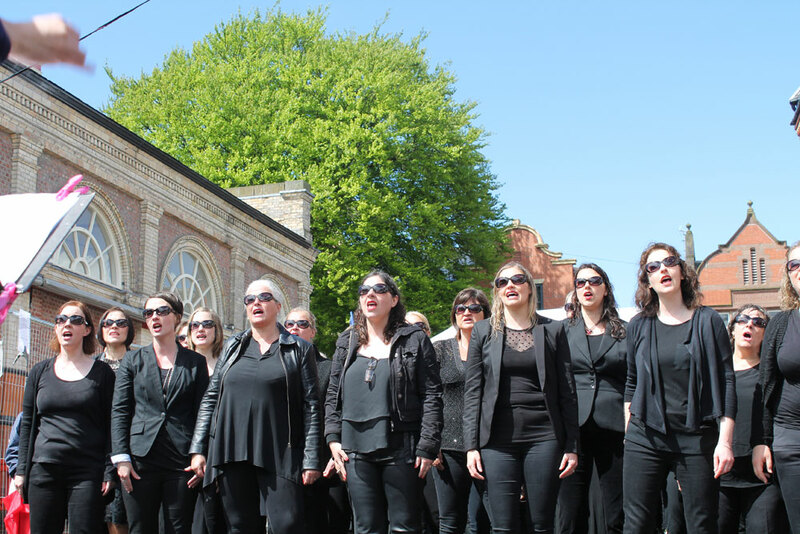 Absolute Belters is a group for busy women – and busy Mums in particular – who love to sing. Every Thursday, the ladies step into the rehearsal room and leave thoughts of work and family at the door as they learn to release their inner Diva and become professional singers for one hour. Part group singing lesson, part choir rehearsal, an evening with Absolute Belters generally involves lots of laughter and sees the women reaching notes they never knew they had in them! In their short career, Absolute Belters have recorded at Elbow’s Blueprint Studios, they’ve performed at Manchester Cathedral and The Manchester Monastery, they have flashmobbed the ever-popular Market House in Altrincham and have even sung on Spanish TV. Rehearsals are informal and relaxed and take place on Thursdays from 8.30-9.30pm at The Hub, Pownall Rd, Altrincham, WA15 2SZ. You can pay-as-you-go for £6 per session or you can pay half-termly in advance for £4 per session. Many people attend on an ad-hoc basis as and when family / work life allows. to book a free taster session.